Vi um mapa da china com a pouca explicação da china. Na escola no fim da aula fiz jandar com os amigos. Já fui a sintra e só vi a quinta da regaleira.Eu gosto da sintra muito e cada vez vou lá tenho interesse. Vi o artigo chinês no blog do amigo que diz esta dias muitos pessoas illegals vêm de outros país europa poque alguémdiz pode ajudar obter a visa ou alguma cosia.Mais chinês vêm cá.O preço é telvez 4000 ou 5000 euros.No entendo como isto acontece. The last foto in the red square is the Han nation. A china tem 56 etnias mas o HAN etnia está a constituir 91.02% de população da china. The People's Republic of China is a unified, multi-national country, comprising 56 nationalities. 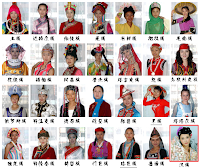 The Han people make up 91.02 percent of the total population, leaving 8.98 percent for the other 55 ethnic minorities. 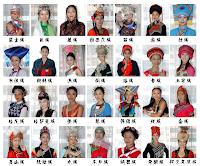 They are Mongolian, Hui, Tibetan, Uygur, Miao, Yi, Zhuang, Bouyei, Korean, Manchu, Dong, Yao, Bai, Tujia, Hani, Kazak, Dai, Li, Lisu, Va, She, Gaoshan, Lahu, Shui, Dongxiang, Naxi, Jingpo, Kirgiz, Tu, Daur, Mulam, Qiang, Blang, Salar, Maonan, Gelo, Xibe, Achang, Pumi, Tajik, Nu, Ozbek, Russian, Ewenki, Benglong, Bonan, Yugur, Jing, Tatar, Drung, Oroqen, Hezhen, Moinba, Lhoba and Gelo. All nationalities in China are equal according to the law. 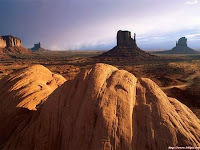 The State protects their lawful rights and interests and promotes equality, unity and mutual help among them. Ontem já foi batalha e gosto muitos de lá. 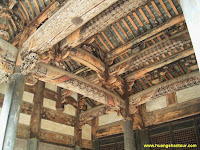 I was shocked by the great works.the first time i feel so much of the western buildings.In china the traditional architecture history is mainly the history of the art of wood.But yesterday i saw the art of the stone and it also can be the same great works like the art of the wood.I was really touched by the details of the works and remind me of the traditional Chinese architecture art. Today suddenly remembered of the the extream northwest of china ,Xinjiang province that i had been there once time for travel.Remembered some years ago i just graduated from the university than i went to travel from xi´an to Xinjinag alone.It´s the only travel that i did alone and never want to try it again because it was too long and too tried for me.Started from xi´an city by train for almost 42 hours and arrived the capital of xinijang then went to find the hotel and find the travel agent.The next day went to the extream northwest of xinjiang in the travel agent for a 7 days travel.Although it is a little tired but it was worthing. I saw the scenery that i never saw.The really desert ,the most hottest place in china,the different people ,the different food and the most beautiful forest for years and the mysterious lake named Hanasi.It is a pity i leave all those pictures in china.This four fotos are found on the net, this is really what i had seen.Don´t know when i will have the chance to go there again.Really missing that time much.Today i begin to think of china again. 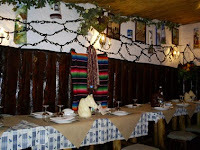 Foi a primeira vez que fui as Caldas da Rainha, perto de óbidos.Jantámos com amigos lá.Foi a primeira vez que comi muitos comidas português.Gosto do restaurante lá.Mas não foi facíl encontrar o lugar. Há uma vila com o nome de DaFen no sul da china. 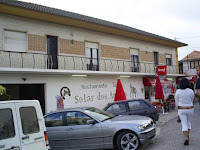 Esta vila tem muitas lojas que fazem quadros.Venda para todo mundo.isto é notícia desta vila.